As a helicopter buzzes in circles despite a blizzard, thousands are busy working in the huge hangars of a Siberia-based aircraft maker, eager to win a contract with India that would be a major coup for Russia's defence industry. "It can drop to minus 40 degrees in winter or soar to plus 40 (40-104 Fahrenheit) in summer here, allowing us to test the machines in extreme conditions," chief engineer Sergei Solomin said as he walked on the frozen tarmac, a fur hat keeping him warm. 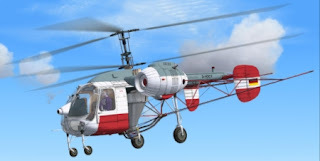 Launched in 1939 in the main city of Russia's Buryatia region that lies on Lake Baikal and the border with Mongolia, the factory belonging to the Russian Helicopters holding company once churned out thousands of Mi-8 helicopters popular in many different countries -- but also washing machines. Today the facility is focusing on the Ka-266T, a model which instead of a tail rotor uses two top-mounted rotors that turn in opposite directions. Russian Helicopters says this makes the light helicopter more manoeuvrable and better able to hover, which makes it suitable for a number of civilian uses including for search and rescue operations and medical transport. The Ka-266T has engines manufactured by France's Safran that allow the helicopter to land safely if one fails. The helicopter could soon join the Indian military's fleet, with long-running contract discussions, including at recent meetings between Russian President Vladimir Putin and Indian Prime Minister Narendra Modi. The deal is of key importance for Russia, which has invested in modernising its army and defence industry in recent years. As the world's top importer of military equipment, India is a key partner of Russia, the second-largest arms exporter. Moscow has carved itself a niche as a weapons supplier to developing countries, with sales unfettered by Western sanctions over the Ukraine crisis. "We are finalising the contract with the Indian defence ministry," Russian Helicopters chief executive Andrei Boginsky told journalists visiting the site recently. He said he hoped the deal would be signed "at the beginning of 2018" and production launched later this year, but did not give any financial details. Over the following nine years, 60 Ka-266Ts would be built in Russia and 140 more in India, as part of a joint venture, with the possibility of export to third countries. Russian Helicopters sees China and Iran as potential markets for the Ka-266T. The Ulan-Ude factory has a rich history. Built in the middle of the country to be out of reach of potential enemies, it has produced space rockets and aircraft, and even household appliances. "After the war, the Soviet Union lacked everything, so the factory started to produce household items: cutlery, appliances... We made washing machines up until 2000," said factory administrator Andrei Chirkov, showing off the plant's museum. He praised the "indestructible" machines called "Belka" (Squirrel) still washing Russian laundry to this day. These days the factory just produces civilian and military helicopters. Only about 50 are made annually, down from 300 during the facility's Soviet heyday. The oil industry has been a leading customer of the civilian models. "This one was nicknamed Terminator," Chirkov says motioning at a massive Mi-8 that was launched into production in the 1960s and since then has been exported around the globe. Although Russian Helicopters boasts about the Ka-226T's potential in civilian roles, the potential deal with New Delhi would see the helicopter mainly used by the Indian military, which wants to replace its ageing fleet. The Russian military also flies an earlier versions of the Ka-26, dubbed the Hoodlum by NATO. Russian Technologies, or ROSTEC a giant military-industrial conglomerate uniting Russian factories, has announced its intention to increase production of civilian products to 50 percent by 2025, focusing on exports. ROSTEC, a state corporation, and its chief executive Sergei Chemezov, are both currently under Western sanctions. It hopes to concentrate on the Asian market, given its difficulties with European sales. In November, the organisers of the Farnborough air show in Britain announced they would not include Russian military aircraft in the 2018 show. Russian Helicopters' CEO shrugged this off. "The exhibition attracts mostly neighbouring countries, and northern Europe is not a very important area for us," said Boginsky. "There are other shows."